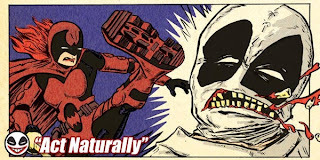 Comics Experience Blog: CE Alums Rich Douek & Paul Allor Write for Oxymoron Hardcover! 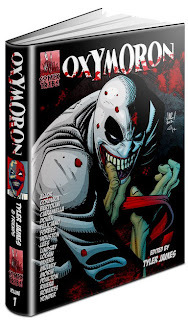 CE Alums Rich Douek & Paul Allor Write for Oxymoron Hardcover! Oxymoron is the Kickstarter-funded new graphic novel from ComixTribe, collecting stories about a supervillain psychopath obsessed with contradiction. And this 100-page hardcover will include stories written by TWO Comics Experience alums and Creators Workshop members: Rich Douek and Paul Allor! The book, debuting in October at New York Comic Con, also features stories by up-and-coming writers and artists, including Jason Ciaramella (The Cape, Godzilla), Joe Mulvey (Scam), Mark Poulton (Avengelyne, Savage Hawkman), and more, and is edited by ComixTribe publisher Tyler James. 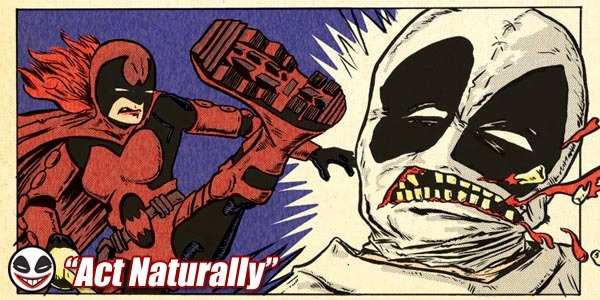 Rich Douek's story in the Oxymoron hardcover, with art by Rafer Roberts (Plastic Farm), is "Act Naturally." "Act Naturally" -- The Royal Shakespeare Touring Company's debut of Romeo and Juliet at Swanstown's prestigious Woodmire Hall is taken under the Oxymoron's psychotic direction - that is, until superhero Red shows up. But, is she just playing her part in Oxy's latest tragic comedy? Rich is also the creator/writer behind the forthcoming miniseries Gutter Magic, which tells a tale of sword, sorcery and sixguns in an alternate history where a magic-fueled World War II drove the world to the brink of apocalypse. Rich recently released a trailer promoting the planned five issue miniseries, with art by Brett Barkley, colors by CE alum Donna Gregory, and edits by CE staff member Paul Allor! 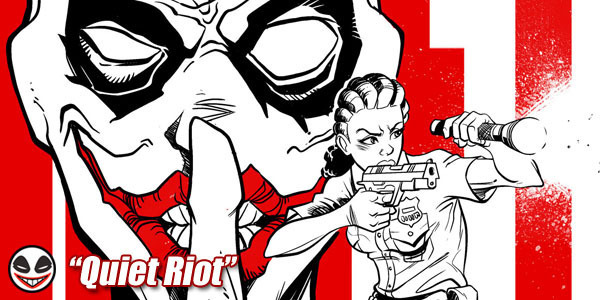 Paul Allor's story in the Oxymoron hardcover, with art by Aaron Houston (Clockwork), is "Quiet Riot." 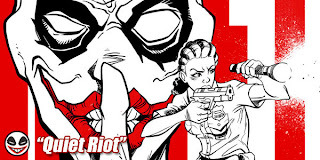 "Quiet Riot" -- The Oxymoron holds all of Swanstown hostage in terrifying silence, as one cop struggles to stop the madman before her city burns to the ground. As of this writing, the Oxymoron Kickstarter is already at over 95% of its funding goal, with 24 days to go! So, it's a huge success, but there's still plenty of time for you to pre-order your copy and partake of the great incentives including signed copies, original art, t-shirts, and more! 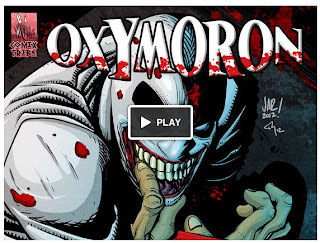 Check out the Oxymoron Kickstarter right here! And congrats to Paul, Rich, and all the creators! Paul and Rich did extraordinary work on this book. Definitely impressed with the quality work coming from Comics Experience alumns. July 2012 Comic Book Writing Class SOLD OUT!